There are lots of inflatable water slides in the market right now, which lets you have fun with water, during the summer or whenever you feel like, each in their own unique way. Some are for kids, some are for adults; some are very versatile with lots of features, some are specially geared for specific purposes. Among all of them, perhaps the most unique product are the inflatable water slides or lawn water slides, as some might call them. Today we are going to talk about water slides, how to choose the best inflatable water slides or best lawn water slides, along with our own recommendations. Kids love to play outdoors when the sun is beating down outside. It is a chance to Entertain yourself and deepen your friendships. The hot summer it is, the more appealing water is, which is why swimming pools are so popular in hot countries. However, if you don’t want to go out to swim, or your kids want something a bit different, inflatable water slides are an excellent alternative for you. Most children now waste their time playing with computers and mobile phones , so anything you can do to persuade them to burn up a few calories outside is a good thing. 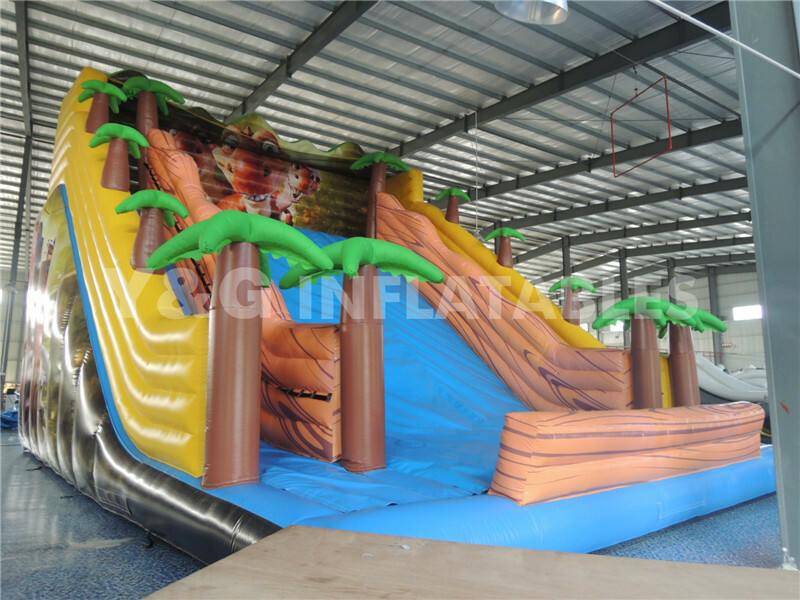 Outdoor activities are a way for children to build up their immunity.But you don't want to go out in the hot summer, inflatable water slides can meet your demand. Buying inflatable water slides is more cost effective than renting them. The initial outlay will be higher, but as long as you take good care of your acquisition, it can be used for kids’ parties and playtime in the garden on a hot sunny day. Inflatable slides are also safer than swimming pools, so you don’t need to be on high alert if you have a non-swimmer in the family. 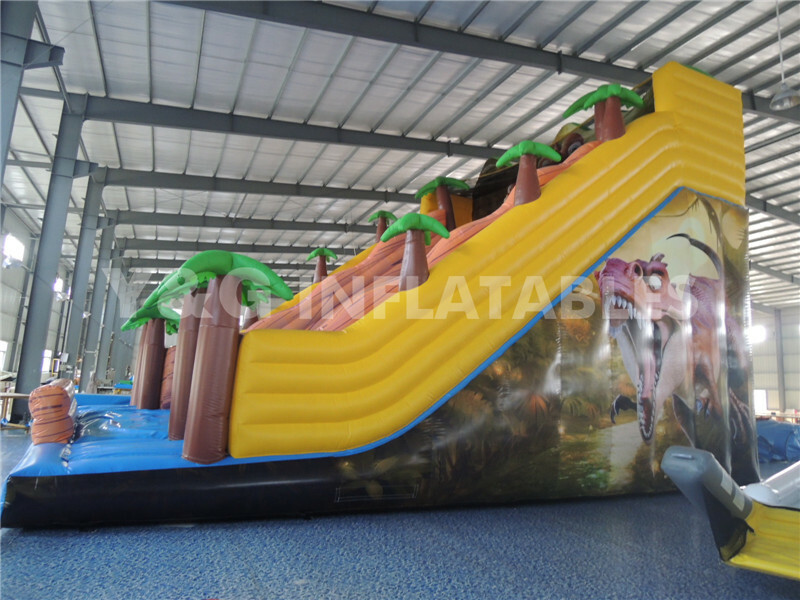 Inflatable water slides are suitable for any outdoor grassy area. You can set up a slide in your back yard or even in a field if you have access to a water and power supply. As long as you avoid setting up inflatable water slides on sharp objects, they should last for many happy seasons. Most are easy to set up and take down. In my point of view,inflatable water slides is the children's summer companion.